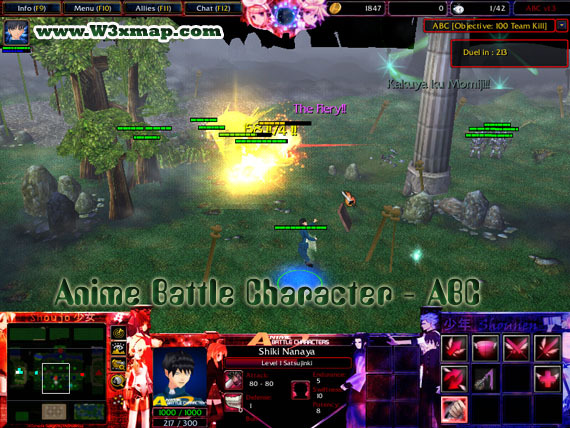 Anime Battle Characters(ABC) project started from 2008 and finally released at October 2010. Alpha, Beta, 1.0, 1.1, 1.2, 1.3, 1.4.1 and finally the latest 1.4.2 which canceled. ABC ended at early 2013 due of Deckai's sudden retirement. We would like to express our thanks all the players that played ABC till now, and still supporting us for these few years. Now its time to leave the old ABC into deep-sea vault. Rejoice! 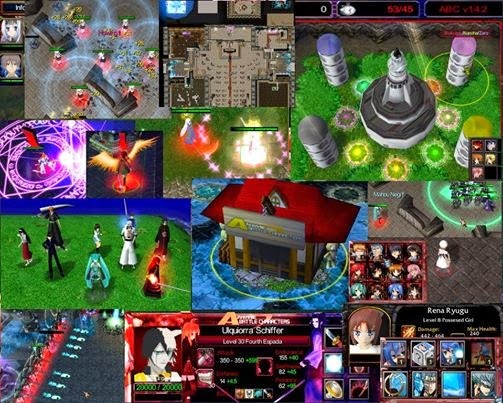 For the sequel of ABC, Anime Battle Characters Deux (ABCD) project, which started at May 2013 with partnership of 8uY_YoU, will soon be knocking on your Warcraft 3's doorstep with brand new up-to-date engines of your favorited anime hero arena map, bringing you a whole-new level of otaku gaming experience. Notes: Please be aware this release is only a beta map, thus there will be tons of bugs, unbalanced games, and many unwanted things. We really appreciate the help of you guys to post and report to us so we can fix it on next version of map.